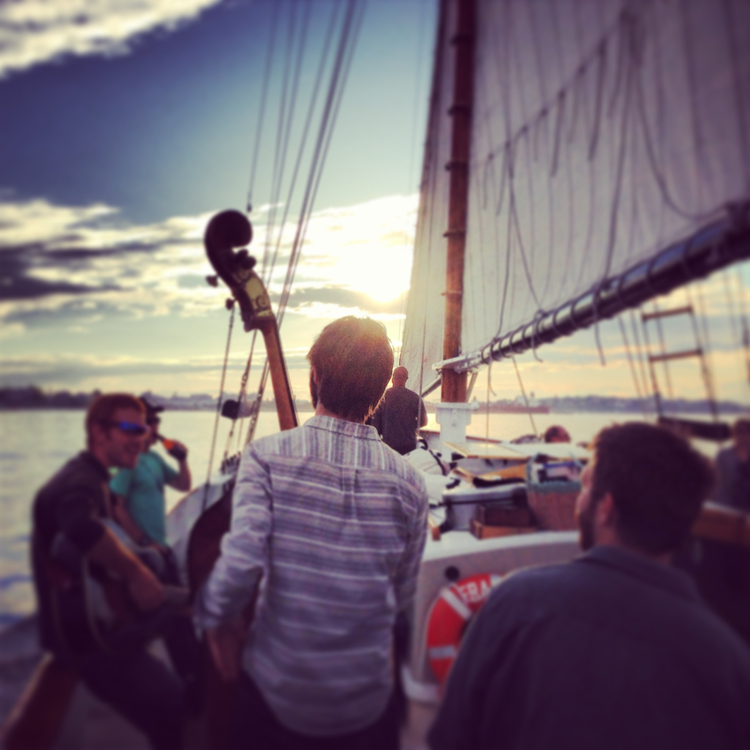 Drawing from the rich Portland music community, the acoustic sunset sail series pairs the best locally based songwriters and musicians with the elegant Frances. Watch the sun set on beautiful Casco Bay from the deck of Frances while taking in the sounds of Portland’s finest folk, bluegrass, and soul music in a purely acoustic setting. $20/person. Inquiries and Reservations may be made on our DAY SAIL page, or by calling Megan (207) 749-9169. Editor’s note: We fell in love with the Ghost Of Paul Revere at the Belfast Free Range Music Festival. The First Baptist Church was packed well over capacity and not a one was disappointed. Give them a listen here before you book your tickets for this Thursday’s sunset sail.